07.30-8.00: Pick-up at the hotel. 12.00 - 12.30: Upon your arrival in Tuan Chau island, you will check in room at Seaside Tuan Chau Hotel. Have Lunch at Hotel and relax. 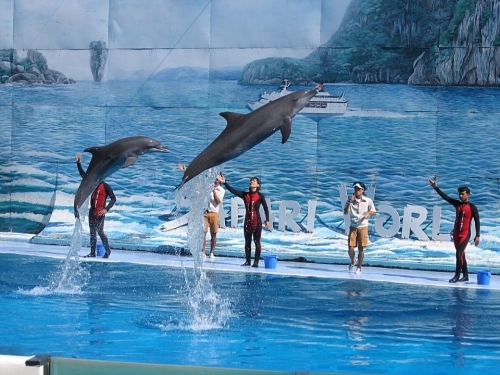 18.30: Dinner will be served at the restaurant and you are free time to enjoy interesting entertainment in the international entertainment center such as: dolphin show, crocodile show, water music show etc… Otherwise, you can walk around to enjoy Tuan Chau by night. Overnight at hotel in Tuan Chau Island. 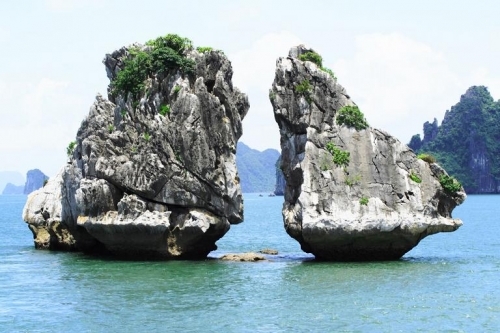 Included: Shuttle bus with air con, boats trip in tour, English speaking tour guide, lunch, dinner, entrance and sightseeing fees, kayaking, hotel in Tuan Chau. 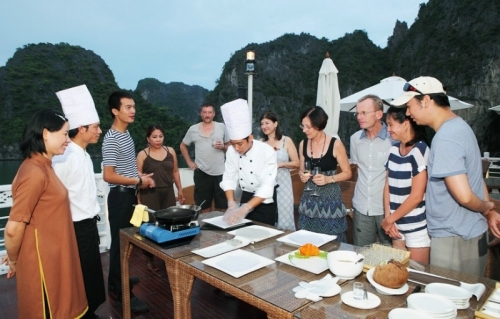 Excluded: Breakfast, Tour guide in Tuan Chau, tip and personal expenses. 7.00: Breakfast at hotel. Free time to visit Tuan Chau island. 12.00 – 12.30: Tour guide will pick you up and Embark on Lavender Cruise followed by a short cruise briefing and enjoy welcome-drink. Check in the cabin. 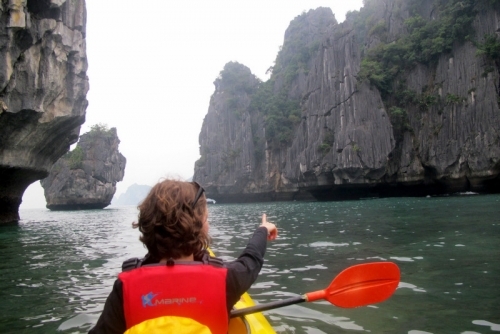 Do kayaking through the magnificent landscape with Limestone Mountains & swimming or just relaxing on the sun-deck for fantastic views at Hoa Cuong floating fishing village, Pearl Farm Village. Included: Shuttle bus with air con, boats trip in tour, English speaking tour guide, welcome drink, cold handkerchief, lunch, dinner, entrance and sightseeing fees, kayaking, full furnished deluxe en-suite cabin with A/C, hot water. 07.15: Having breakfast with coffee, tea and bakeries on board. Excluded: Dinner, VAT, tip and personal expenses. 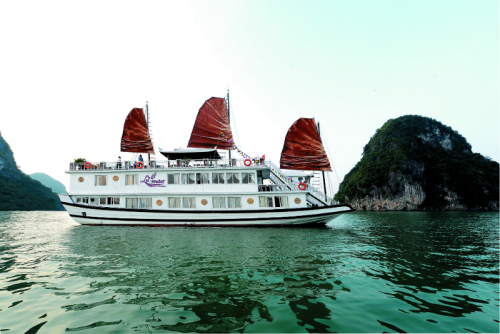 one night in Tuan Chau, one night in Lavender cruise. 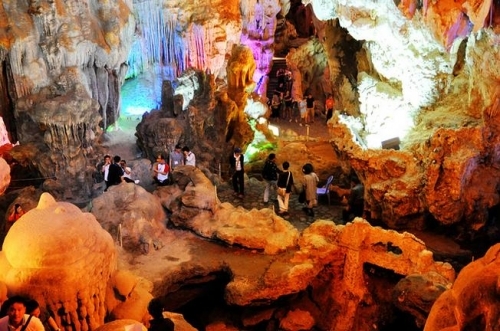 ​Tour guide in Tuan Chau.